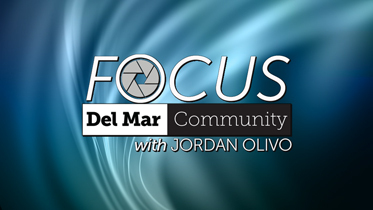 FOCUS: Del Mar Community is a NEW DMC-TV monthly show hosted by Del Mar College alumna, Jordan Olivo. Each month topics include public interest from the Corpus Christi, Texas area. Meet individuals who impact and make a difference in our local community. FOCUS: Del Mar Community airs the first Friday of each month and repeats every Sunday, Wednesday and Friday thereafter at 7:30 PM on Digital Channel 1301 on Spectrum Cable, Channel 19 on Grande Cable, and under Channel 99 with AT&T U-versein Corpus Christi, TX. Page last updated May 29, 2018.